Dave Broom tastes another trio of rarities, on this occasion spanning three Scotch whisky-making regions: Speyside, Campbeltown and Islay. 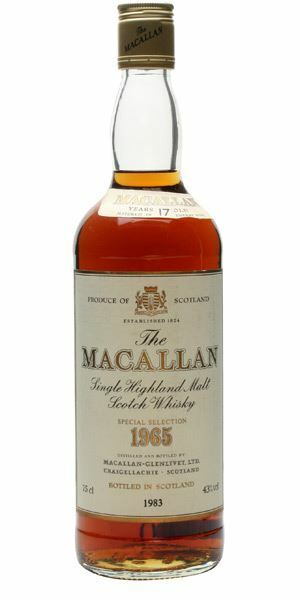 Examples come from that epitome of collectible single malt, Macallan; from Campbeltown survivor Springbank; and from the doyen of ‘lost’ distilleries, Port Ellen. Macallan’s liquid is all about the stills and the wood: the former are famously small with sharply angled lyne arms, giving a rich, oily new make which finds the perfect foil in large ex-Sherry casks. Due to be rehomed in a £100m new distillery next year, luxury-focused and much sought-after by collectors, Macallan has come a long way since two stills were set up in a wooden shed in 1824. Springbank is one of the last vestiges of Campbeltown’s proud distilling heritage. Once more than 30 distilleries operated on this remote peninsula; until recently, only two – Springbank and Glen Scotia – were left. Run by the Mitchell family since 1837, it has a fairly complicated distillation process and a correspondingly complex spirit. The whisky tasted here is one-sixth of the distillery’s Millennium Set, which also included whiskies of 25, 35, 40, 45 and 50 years of age. Port Ellen was an enemy of its time, and more specifically the whisky loch of the 1980s. 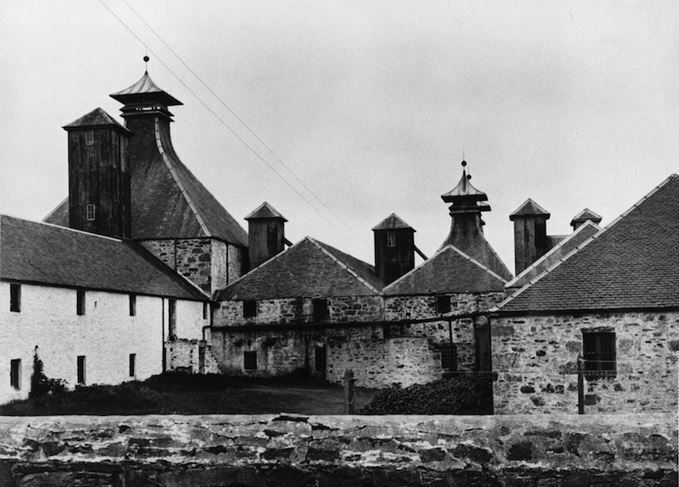 As distilleries cut their hours and closed their doors, the axe fell on those considered surplus to requirements – and, at the time, the reputation of peaty whiskies was yet to undergo its more recent renaissance. Closed in 1983, Port Ellen has since achieved the kind of immortality only afforded to those cut down in their prime. Characterised by maritime smoke and a distinctive citrus note, it is the archetypical collector’s malt, with prices to match. Deep polished walnut in hue. The nose is immediately oily, with dark chocolate, coffee and sweet Oloroso. There’s even a hint of smoke and that signature Macallan earthiness. Moves in the general direction of a Brandy de Jerez Gran Reserva with raisins, light walnut. The oiliness then becomes more like Castrol R (thanks, Nick Lewtas) and everything deepens. A drop of water brings out a more meaty edge. It’s complex, but you get the impression that everything is somehow blurred. The slightly faded start accentuates this feeling of hollowness, then comes the fleshy fruits/oiliness, which allows everything to roll over the palate – but without any particular dynamism. Water simply amplifies this somewhat soporific effect. Thick and slick – could paxarette be involved here? You could nose this forever, but the palate is flat. Slowly falling asleep to a Perry Como album. 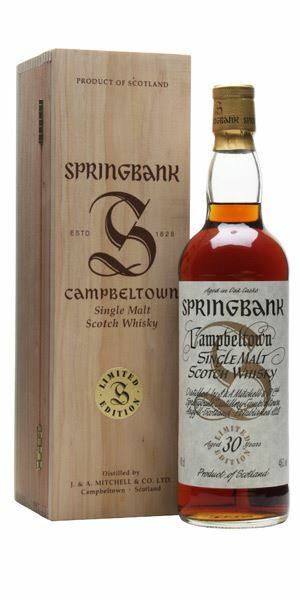 The lesser spotted Springbank 30-year-old is a rare beast indeed. There’s no doubt that it was filled into Sherry. The colour is deep mahogany, while the nose exhibits classic Sherried notes of Christmas cake, black cherry and resin. It is what lurks behind this which is more intriguing. 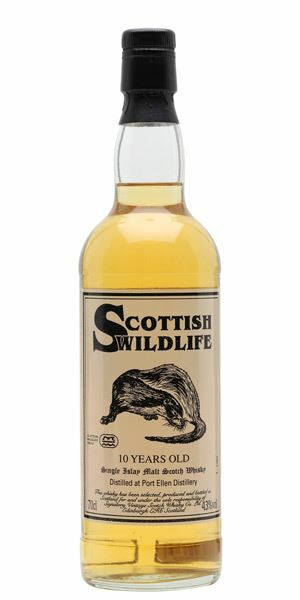 This is a whisky which has managed, over 30 years, to absorb the cask influence, but not be dominated by it. Rather than this being an archetypal ‘Sherry bomb’ where you search in vain for the original distillate, this has Springbank writ large. There’s leather, wet coal, oils, dense smoke: furious puffing on many pipes filled with rough shag. The overall effect is of slow concentration of a whisky heading inexorably from light into darkness. It’s Gothic. A massive physicality – this bulges in the middle of the mouth, reluctant to move. There is sweetness – a lot of it – but always balanced by this chthonic pull. Spiced, wild fruits, bitter barks… there’s more than a nod towards Antica Formula. Smoke begins to release itself. An amazing whisky that has something of the night about it. If Dracula were to consume anything other than blood, it would be this. Light in colour and quite restrained, but it has that familiar sweet, lemon oil, sea-washed stone, seaweed character that typifies Port Ellen. The smoke isn’t smoky, but purely phenolic and remarkably restrained and balanced. With water, there’s privet blossom, lanolin and the lemon moves into lime. Really sweet and seashore-like. A platter of fruits de mer (or, on Islay, a bucket of limpets) with a mineral quality. In the middle, the drier aspect of Port Ellen suddenly flaps across the tongue like a freshly starched sheet, but then it sweetens once more. Water reduces these extremes and everything expands beautifully as light fruits and oils emerge. It’s what a 10-year-old Port Ellen should taste like. This makes you realise what the fuss is about. Or was about. Read and weep. Rare Batch 4 09/02/2016 Including an aged double act from Islay’s Kildalton coast, plus a venerable Whyte & Mackay blend.